On behalf of admin of JML Law, A Professional Law Corporation posted in Pedestrian Accident on Wednesday, Oct 17 2018. Halloween is supposed to be spooky, but not injured-while-having-fun spooky. Unfortunately, along with all the kids and adults alike dressed up as ghosts, monsters, vampires, and Fortnite characters, come quite a few health hazards. Fact: Americans are prepared to really dip into their pockets this Halloween, as estimations indicate Americans will be spending over $9 billion for the scary fun holiday. But money is not the only thing Halloween may drain from your life, as there are certain health hazards to watch out for this holiday to avoid an injury. If not used with extra caution or supervised by parents, some of the things we purchase for Halloween can actually cause injury or even kill us or our loved ones. 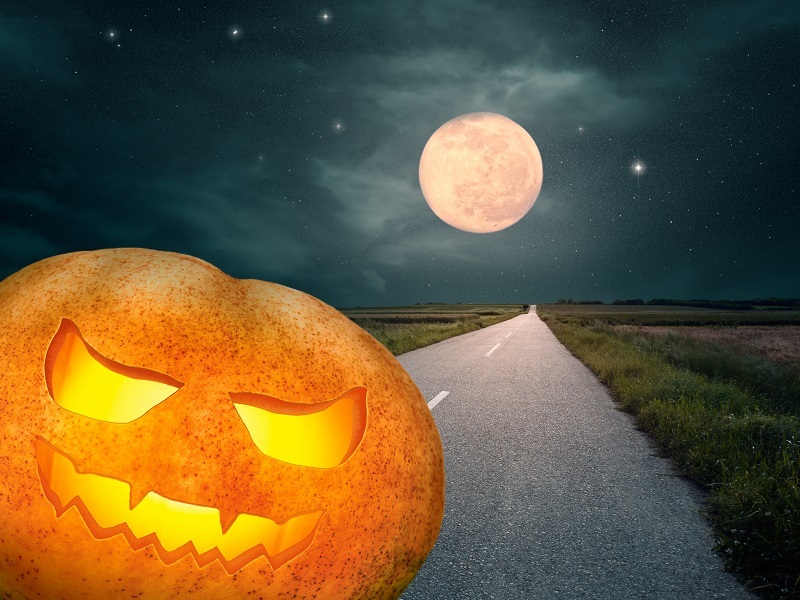 “Cars are not the only thing you should watch out for when you or your kids go trick-or-treating on All Hallows’ Eve,” warns our Los Angeles pedestrian accident attorney at JML Law. This might be disturbing to read, but children are twice more likely to die on Halloween than on any other day of the year, according to a 2012 study by State Farm. The Centers for Disease Control and Prevention, meanwhile, has even scarier statistics on Halloween child deaths: children are four times more likely to die on this holiday. Statistically speaking, cars and other vehicles present the biggest health hazard for kids on Halloween. Statistics show that the vast majority of all pedestrian accidents involving children on Halloween occur away from a crosswalk or intersection. “That’s because kids often go trick-or-treating alone and get so carried away in the process of collecting candy that they often sprint ahead and forget to look both ways when crossing the street to go to a neighbor’s house,” explains our experienced pedestrian accident attorney in Los Angeles. Do not let your child use a smartphone when crossing the street, as pedestrian accidents caused by distracted walking are more common than you think. Encountering a scary clown is not the spookiest thing that can happen to you this Halloween. Rather, stay away from drunk drivers. Statistically speaking, there is a much higher chance of encountering a drunken person operating a vehicle on Halloween than on any other non-holiday day, so be on alert at all times. In fact, statistics show that nearly 45 percent of all car accident fatalities on Halloween in the U.S. involve drivers under the influence of alcohol or drugs. “Okay, so just stay away from the road and cars and I will survive this Halloween in one piece, right?” you may be thinking. Well, not really. There are plenty of health hazards in the kitchen, too. First of all, if you have children, you should watch out for food allergies. Statistics show that one in 13 children under the age of 18 has food allergies, including but not limited to allergic reactions to nuts, milks, fish, wheat, soy, peanuts, eggs, and others. Pumpkin carving alone is responsible for thousands of Halloween injuries in California each year. So be extra careful when carving pumpkins (avoid using sharp kitchen knives; use small pumpkin carving tools instead), and do not let your children carve pumpkins if they are too young. Your child will most likely want to go trick-or-treating in the coolest Halloween outfit ever. And what cool Halloween outfit isn’t accessorized by a sword, speak, wand, or some stick? Some children (and adults) choose to wear contact lenses to complete their Halloween outfit. But not all contact lenses are equally safe, and not everyone’s eyes can handle lenses. Keep in mind that if you buy contact lenses, they must be approved by the Food and Drug Administration. Needless to say, cheap contact lenses often contain chlorine, iron and other harmful chemicals. In addition to that, there are plenty of fire hazards on Halloween (especially when it comes to decorating fiery jack-o’-lanterns and the house with candles). Also, make sure that your Halloween costume is made of flame-resistant materials, because walking around the house full of candles and other fiery stuff in a costume that is not labeled “flame-resistant” is a disaster waiting to happen. If you have been injured in a car accident as a pedestrian, contact our Los Angeles pedestrian accident attorney at JML Law. If you have sustained injuries in some other accident or incident, contact our personal injuries lawyers to determine liability and get compensated for your injuries. Call our offices at 818-610-8800 to get a free consultation.